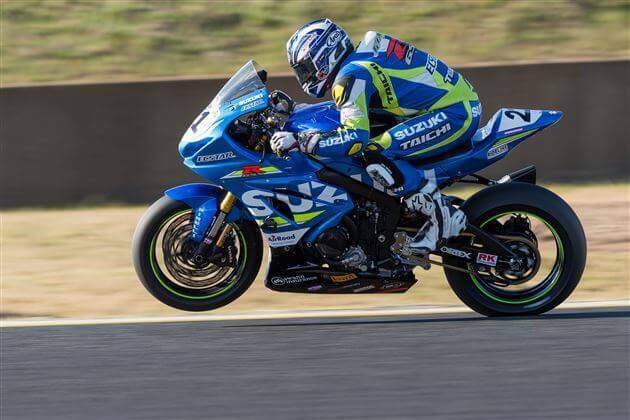 Mildura’s Josh Waters blitzed the penultimate Australian Superbike Championship Series round at Eastern Creek last weekend on his new model Suzuki GSXR-1000R. 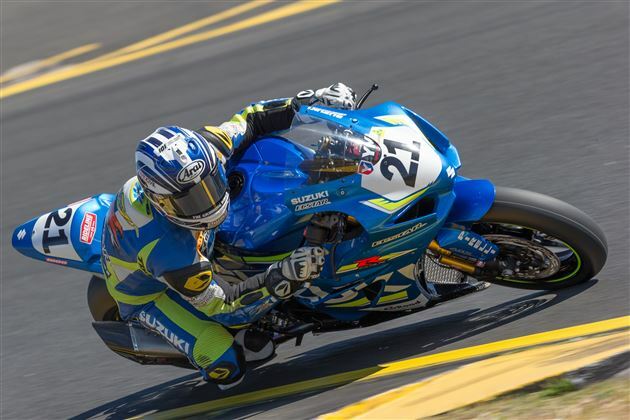 Josh won both his races by the length of the main straight soundly defeating the fancied Honda, Yamaha and Kawasaki Team riders and moving right up into contention for an outright Superbike Series win at the Phillip Island last round. The acceleration off the start line and the sheer speed of the new, basically stock, Suzuki GSXR-1000R left the rest of the field shocked and unable to get near Waters, let alone race him. The win to Waters made it a double victory to go along with his pole position, a perfect weekend. After a slow start to the year, on the new generation GSXR-01000R, Josh has now accumulated 220 Series points, just behind Troy Herfoss on 226 points and Wayne Maxwell on 211. The ASBK heads to Round 7 Phillip Island Grand Prix Circuit for a thrilling concluding round of the championship (6-8 October), with the Championship likely down to a three-horse race between Herfoss, Maxwell and Waters. next post: PROCYCLES RACE RIDERS SCORE AT NSW OFF-ROAD TITLES.